Among the most iconic species in BC are the southern resident orcas or killer whales. Found in the international waters between BC and Washington state, these 76 whales are under threat from toxins, acoustic disturbances and diminished food supplies. There is also the looming, and very real threat, of an oil spill in the Salish Sea which would be catastrophic for the orca population. To recover the southern resident population we need action that will protect their habitat, maintain their food supplies, ensure they are safe from acoustic disturbances, limit the number of vessels carrying toxic substances and make sure the water is free from toxic contamination. 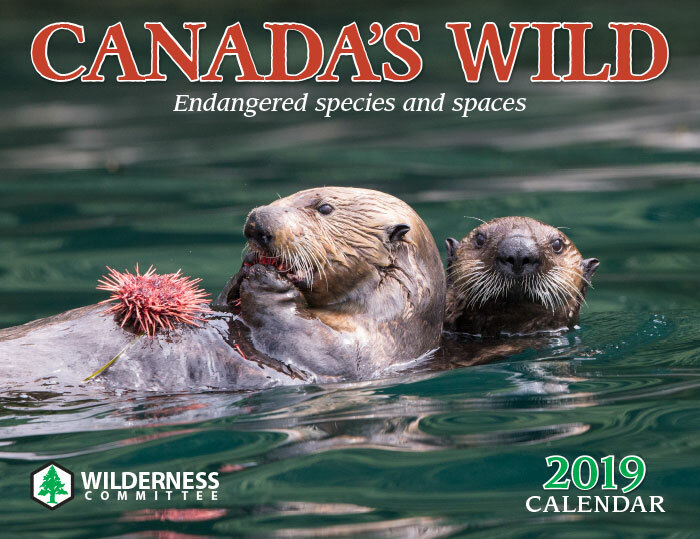 The best way to do that is to ensure that Canada’s Species at Risk Act (marine mammals fall under federal jurisdiction in Canada) is properly applied. Over the past several years we have won several important legal victories and are our hard work seems to be paying off. Things could finally be turning around for the orcas. The federal government has recently announced roughly $9.5 million in funding to restore habitat for Chinook salmon - the southern resident’s main food source. Along with funding for research and habitat restoration is the announcement that there will be partial fishery closures. While this is a positive step the southern resident killer whales need much more than just increased salmon stocks. New research is showing that when killer whales are in the presence of boats they are less likely to be foraging. Vessel noise also reduces their ability to find and hunt chinook salmon and reduces their ability to communicate with each other. Vessels come and go daily and on top of that anywhere from 14 to 28 whale watching boats are following the pods around every single day when they enter the Salish Sea for summer feeding. If the Trans Mountain expansion gets built it will increase tanker traffic by 700%, which will mean that orcas will be in the presence of boats almost 100% of the time. If built this project have devastating impacts on the southern resident killer whales, even if there is not a bitumen spill. We have the ability to save the southern resident orcas because we know what they need and we have the capability to help them. We must urge the federal government to decrease the amount of noise and traffic from vessels in the Salish Sea. If we increase chinook salmon stocks and reduce vessel noise we have a real chance of recovering the southern resident killer whales. This map describes the occurrence, including range within Canada (in blue) and critical habitat within Canada and US (in red), of the northeast Pacific southern resident population. This map describes the occurrence, including range in Canada (in blue), critical habitat in Canada (in red), and potential critical habitat in Canada (in orange), of the northeast Pacific northern resident population in Canadian waters. A Lonely Landscape highlights how humans rely on biodiversity, the main issues with the federal Species at Risk Act and some of the species that have fallen victim to weak enforcement and compliance with the law.